Chris’ Whale Watching has the finest fleet of boats in Northern California. Our boats are USCG approved and include life saving equipment, marine radios, sonar, radar, and twin engines that are fast and clean. Our skippers and crew will ensure you have a fun and enjoyable tour. Our fleet is made up of three vessels: the 68′ Star of Monterey, 57′ Check Mate, and 51′ Caroline. Any of our boats will provide a comfortable and safe tour through the sanctuary! 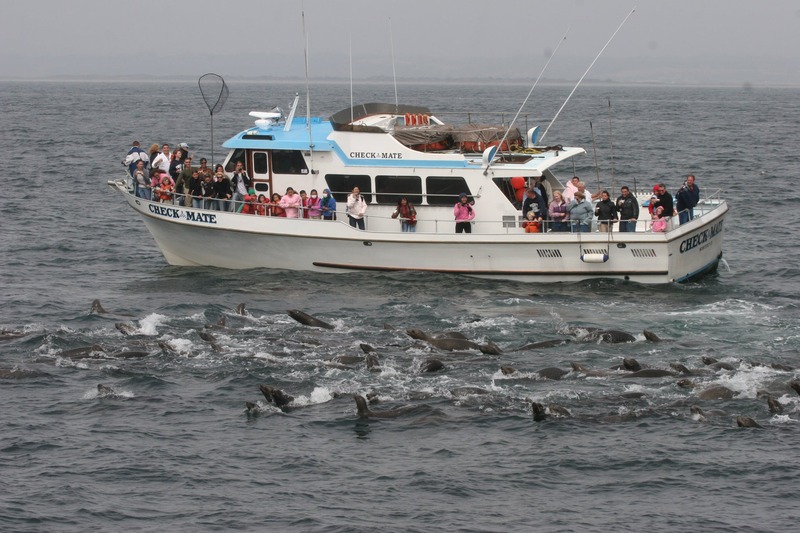 Chris’ Whale Watching has the most experienced skippers and crew in the Monterey Bay. Our skippers and crew are professional, knowledgeable, and as enthusiastic about whale sightings as you will be! Our crew is ready to get you close to the action so you can have a magical whale watching experience in the sanctuary. Get to know our skippers before you set sail for an amazing adventure with Chris’ Whale Watching! A Monterey native, and has been a skipper with Captain Chris for over 41 years. He has logged more than 120,000 hours on the water. Captain Harry is one of the most experienced skippers on the coast and his knowledge of the Monterey Bay Marine Sanctuary is unmatched. Captain Nick is considered by most to be the best marine tour skipper. He has been out on the water 7 days a week since he was 10 years old. Captain Nick is devoted to his trade, the only thing that will keep him out of the water is his deathbed. Rain or shine and weather unbarring, you’re sure to find Captain Nick on the water. The founder of Chris’ Whale Watching Trips. Captain Chris began taking people out on fishing trips in the waters off Monterey Bay in 1949. Captain Chris is gone now, but his vision of offering the best fishing off the California coast lives on. Chris’ Whale Watching Trips is the oldest, continuously family-owned whale watching on the California coast. Captain Chris was a pioneer in marine tours and worked with the Audubon Society to research marine activities.